Snickers Clothing have designed a new range of winter jackets, Stay warm, longer. 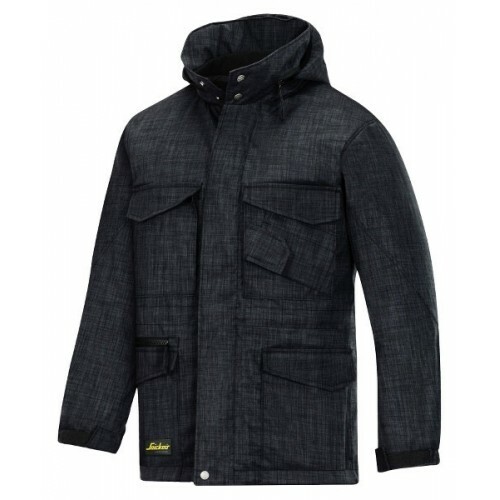 Wear this remarkably light yet hard-wearing long winter jacket, featuring contemporary design, modern colours and doubled cosy quilt and pile lining. Count on reliable on-the-job comfort, even when sitting down. you may of had before. ie: medium in the past order large now. Highly durable 100% Power Polyester, 275 g/m². Quilt and pile lining.